Commercial Drywall - Greater Vancouver Area | Benton and Overbury Ltd.
Benton & Overbury Drywall Systems has been one of the leading providers for commercial drywall, insulation and steel framing services in Vancouver and the surrounding area for over 50 years. We provide comprehensive solutions for commercial building projects of all types and sizes. There are hundreds of commercial projects in the Greater Vancouver Area that have Benton & Overbury quality craftsmanship behind them. Covering a broad scope of commercial projects such as shopping malls, high-rise offices and condos, and YVR airport, Benton & Overbury has established itself as a premium commercial drywall and steel stud framing company in the Greater Vancouver Area.  Benton & Overbury has a comprehensive estimating department comprised of seasoned professionals. We also offer professional on-site consulting services for projects that are already under way and pre-production consulting services for projects that are still in the planning stages. Additionally we offer in-house engineering services and outsourced professional engineers that we use for larger projects. Have a project that needs our expert help? Talk to one of our experienced staff to discuss your next project.